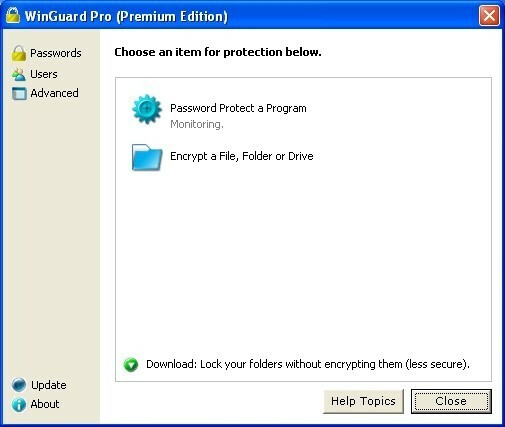 Secure your computer by Password protecting your Windows applications, programs and EXE files for Free. Plus encryption for your files, folders and drives - direct from Windows Explorer. Extra features allow you to disable Task Keys, Software Installation, Internet Explorer, Mozilla FireFox, Downloading Files, Zip and Self Extracting Files and the Boot Keys (F8). Also available in Premium for optional fee, hence; you may see a buy link on this page.